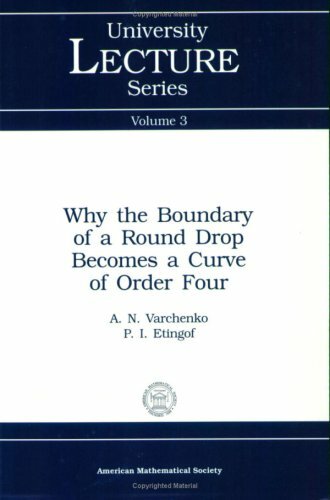 This book concerns the problem of evolution of a round oil spot surrounded by water when oil is extracted from a well inside the spot. It turns out that the boundary of the spot remains an algebraic curve of degree four in the course of evolution. This text discusses this topic and other recent work in the theory of fluid flows with a moving boundary. This is a manual on solving problems in computational mathematics. The book is intended primarily for engineering students, but may also prove useful for economics students, graduate engineers, and postgraduate students in the applied sciences. The theory of traveling waves described by parabolic equations and systems is a rapidly developing branch of modern mathematics. This book presents a general picture of current results about wave solutions of parabolic systems and their stability. Contents: A short mathematical review; Introduction to odes; First-order odes; Second-order odes, constant coefficients; The Laplace transform; Series solutions; Systems of equations; Bifurcation theory; Partial differential equations.